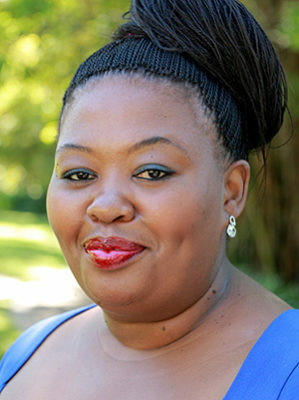 Baphumelele Mngadi is the executive head of corporate affairs at the South Africa Maritime Authority. She led a team to reposition the South African Maritime Authority’s brand. She has utilized the prioritization of its role in maritime communities through enterprise development, education, and poverty alleviation programs. Previously, Baphumelele worked for the national government as a director in the Office of the Minister of Public Enterprises and later Transport. She was instrumental in the establishment of the Corporate Governance Unit that was responsible for the management of the eleven transport public entities, appointing a board and CEOs, the implementation of sound corporate governance principles, and the monitoring of their performance. Additionally, Baphumelele worked in public sector management in Pietermaritzburg’s local government. She received her Honors Degree at the University of Natal in Durban. Currently, she is pursuing a MComm in Marketing and participating in a leadership program with the Thabo Mbeki Leadership Institute. Baphumelele is a Fellow of the eighth class of the Africa Leadership Initiative-South Africa and a member of the Aspen Global Leadership Network.